A former Secretary to the Government of the Federation, Chief Olu Falae, has said that the President Muhammadu Buhari-led administration has not performed well. 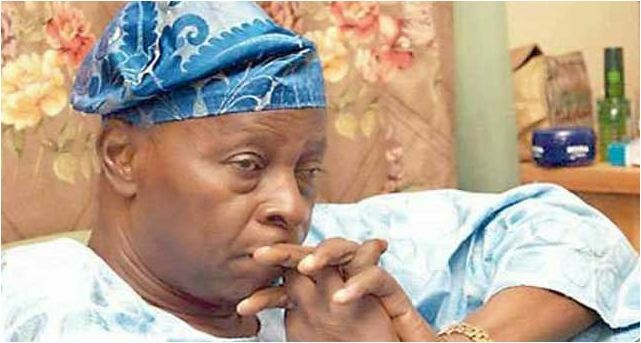 Falae said he was expecting him not to seek re-election in 2019. This was part of what he told journalists on Tuesday after he paid a private visit to former President Olusegun Obasanjo at the Olusegun Obasanjo Presidential Library in Abeokuta, Ogun State. He said Buhari had failed in his primary responsibility of protecting lives and property. He said, “You know and I know that the present government has not done well. The primary responsibility of government is to protect the lives of its citizens. This government is not doing so. People continued to be killed and slaughtered every night and any government that cannot stop that has failed. “President Buhari is my friend. Once upon a time, you will recall that I raised his hand at the Adamasingba Stadium in Ibadan, asking people to vote for him because he said he would restructure Nigeria. So, it is not a personal matter.